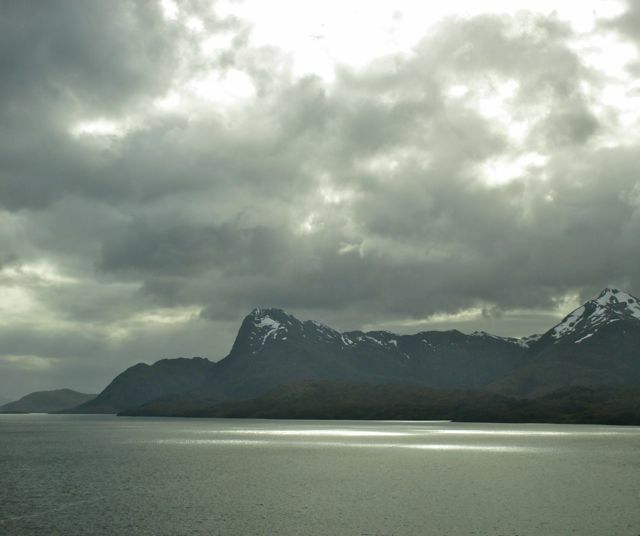 This windswept town, perched on a steep hill, is surrounded by the Martial Mountains and the Beagle Channel. 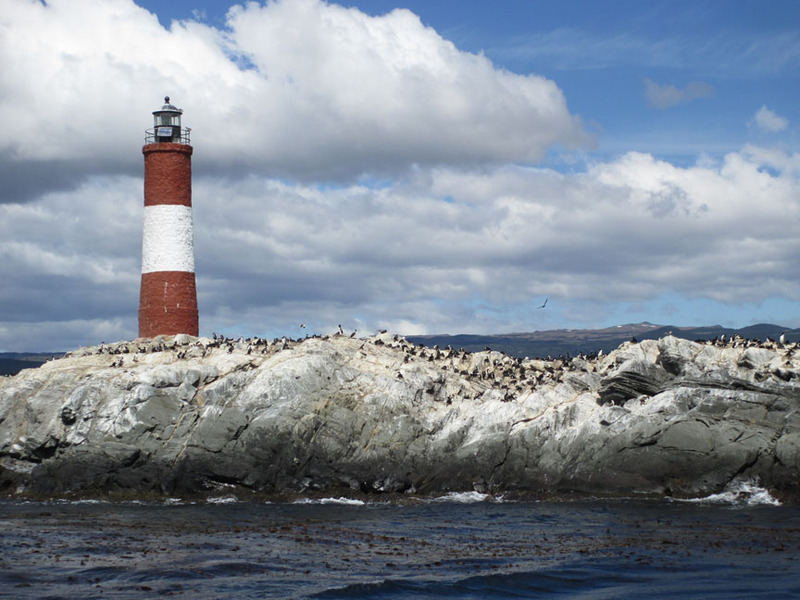 It's the gateway to Antarctica cruises and tours to nearby Isla Yécapasela, known as “Penguin Island” for its penguin colonies. 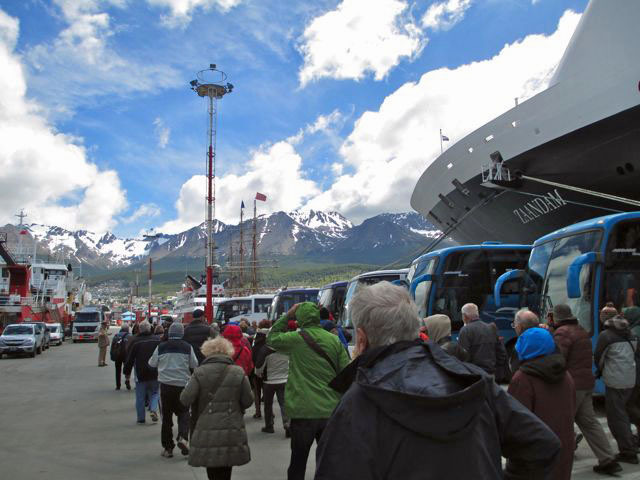 Ushuaia was a port stop on our Holland America cruise around the Horn, and through the Strait of Magellan, from Buenos Aires, Argentina to Santiago, Chile. With only about 150,000 residents, Ushaia is considered a “young” town. 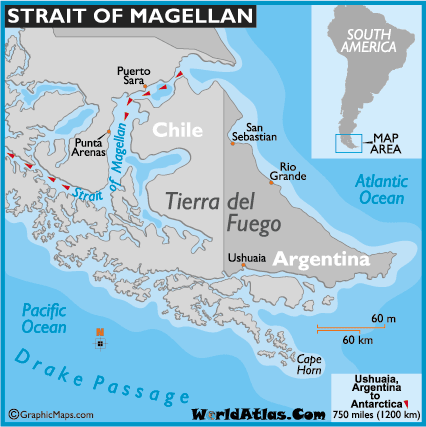 An Argentine expedition arrived in 1884 to establish a sub-prefecture for the 300 Anglican missionaries from the South American Missionary Society, who already lived there and built the first houses, with the goal of evangelizing the native populations. 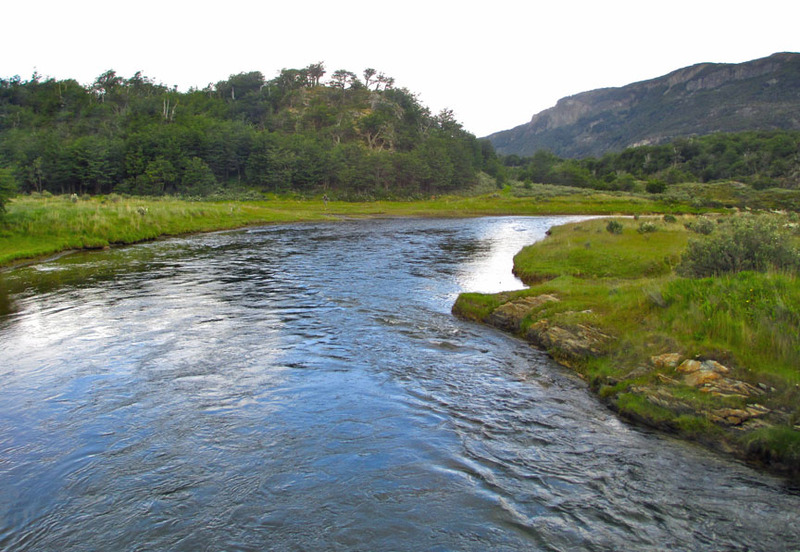 Tierra del Fuego, a province of Argentina and the bottom of Patagonia, is also a national park that covers a variety of terrains, peaks and valleys and forests and wetlands. 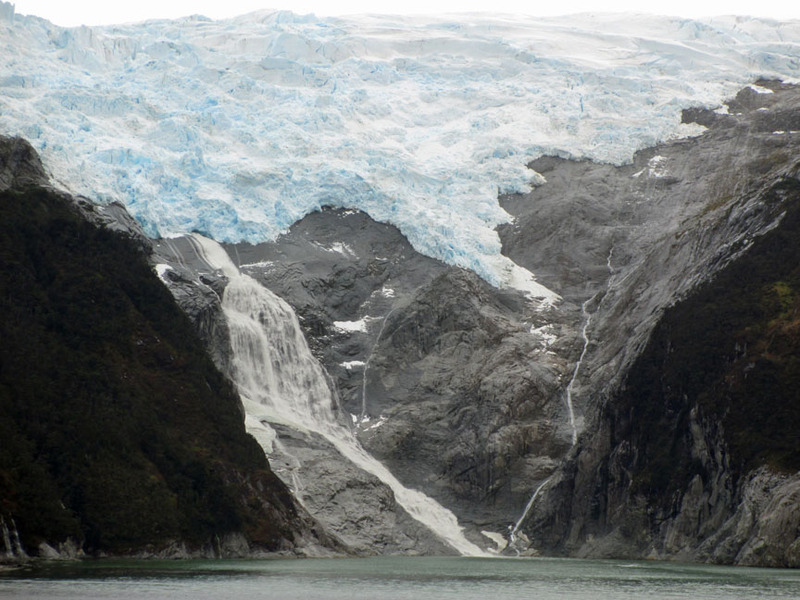 The Martial Glacier is part of an area called Glacier Alley, through which Holland America’s Zaandam, sailed. In the early 1900s Argentina built a prison in Ushuaia, and counted the prisoners as “early settlers.” In the 1970s, because of local industrial establishment, the town saw increased population growth as an incentivization program attracted workers from all over Argentina. An internatonal airport, and having the closest deepwater port to Antarctica, has resulted in increased tourism. Most of the main shopping area is centered at the port, where you can find the usual “bottom of the world” souvenirs plus surprisingly good quality boots, coats, wool scarves and other winter gear. 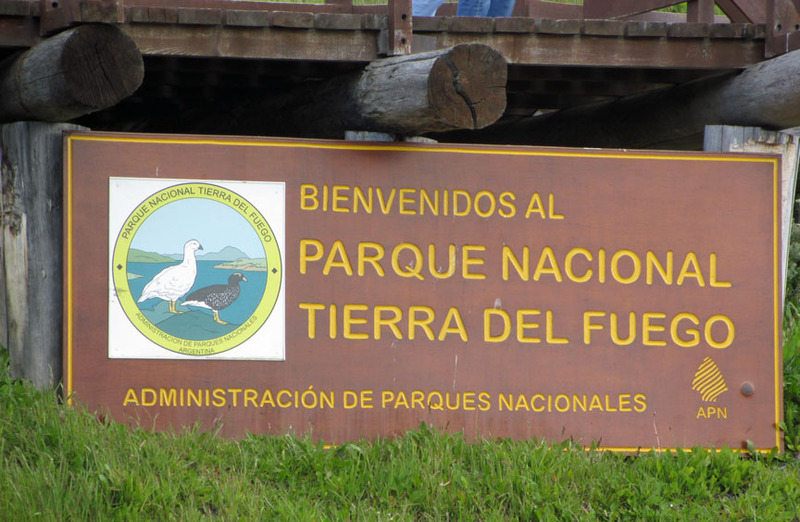 Even though the Argentine government, to encourage settlement and growth, has designated Terra del Fuego a tax-free zone, the cost of living is high. Most goods have to be brought in from long distances, usually by container ship. Being in this place gave me a new respect for the 16th century Portuguese explorer Ferdinand Magellan, who became the first European to cross the Pacific Ocean. Of his five ships that sailed from Spain in 1519 to discover a western sea route to the Spice Islands, only one returned home three years later. I imagined Ferdinand and his crew in what today would seem a tiny wooden boat with no heat, sailing through this frigid area. Plus, the tip of South America is so dotted with islands that I can’t imagine how he navigated with just a back staff, a compass rose, and lead line. No stars at night or sun during the day in mostly cloudy, overcast skies. Summers in Ushuaia (like December, when we were there) are cold and mostly cloudy, while winters are very cold, dry, and only partly cloudy. 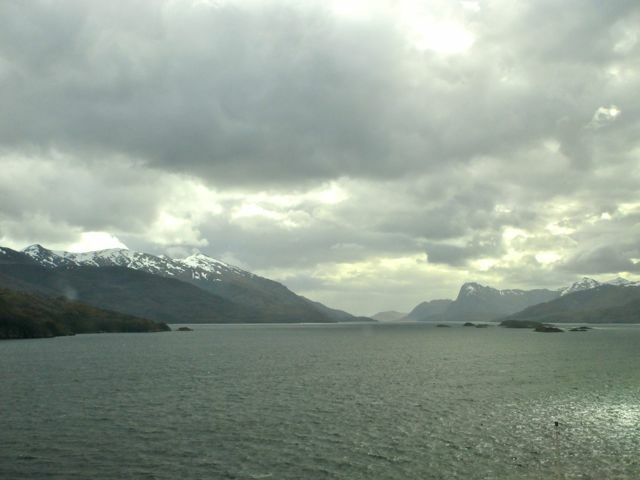 Like the rest of the area to north known as Patagonia, strong winds year-round add a wind chill factor to the weather. Year-round temperatures can be as low as 23 degrees (in winter) or as high as 65 degrees farenheit (in summer). 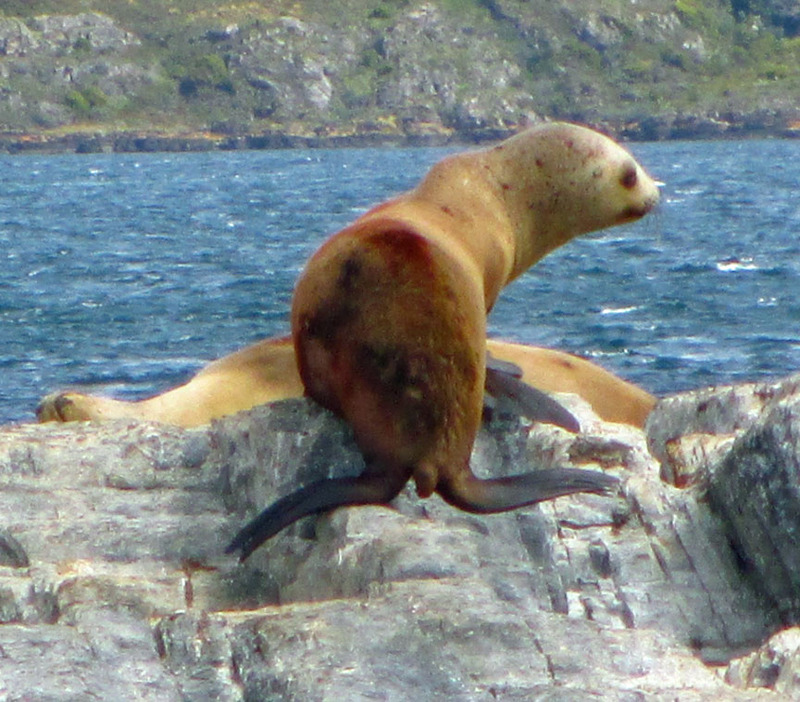 The islands in the Straight of Magellan are heavily populated with seals. This whale booth coat hanger is indicative of the lives of the people who settled this area. 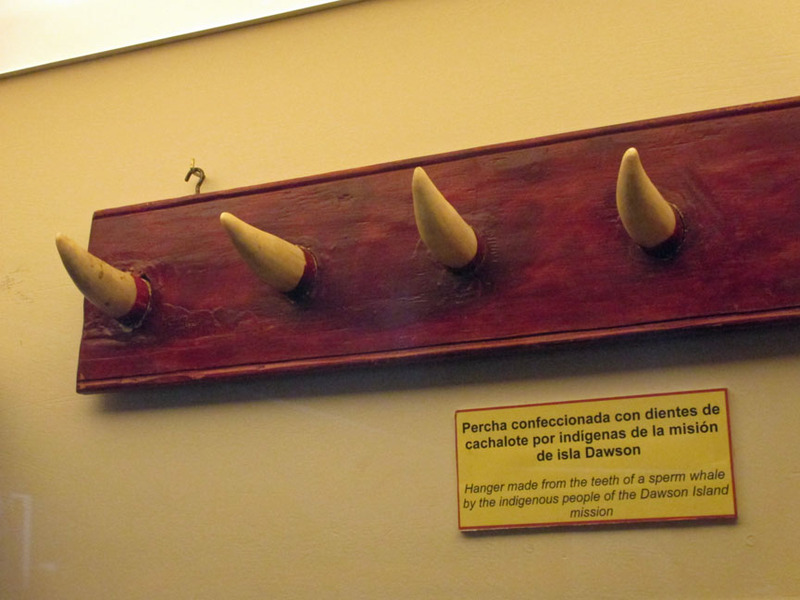 The Museo del Fin del Mundo, Ushuaia’s museum of local and natural history, is crammed with items like this and interesting exhibits on whaling, sailing, and the lives of the indigenous people like the hunter and fishing tribe Yámana. You can see tools and utensils they used in more than 8,000 years of history. In any case, if you go to Ushuaia, pack warm clothes!